Here is a big THANK YOU to everyone who tuned in today! It is always a pleasure waking up with all of you! Be sure to tune in to the Morning Show everyday but if you enjoyed DJ Jigsaw(work in progress) and myself, we blab every Tuesday between 9am – 12pm. Today on the morning show we had the pleasure of welcoming DJ Jigsaw to join in for the fantastic discussions! Be sure to stay tuned to hear more from this guy! I guarantee you will be on the floor laughing and totally engaged in to some pretty deep conversations! Can’t wait! Today’s news just really wasn’t all that interesting, so we turned to some less serious news. 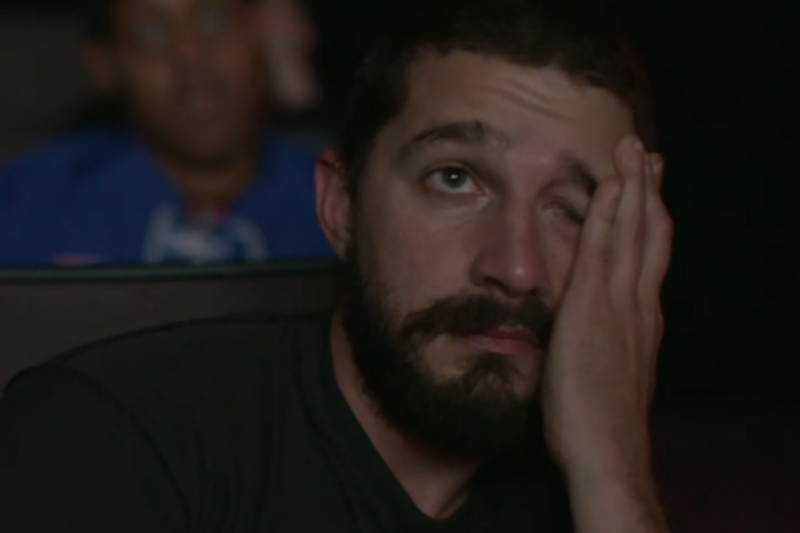 First of all, we looked at Shia Labeouf, and boy is he at it again. On November 10th, Labeouf announced that he would be watching every film that he is in over the course of 3 days, and as well, stated that all fans were invited to join him. Additionally, he invited fans to watch his online stream wich was simply a camera that was facing him as he watched his own films. It was noted that he cringed during Transfromers: Dark of the Moon. More details HERE. In other news, Dj Jigsaw and myself looked into the controversy over the red Starbucks Coffee Cups. Traditionally the Christmas cups are decorated in Christmas themed images. However, this year the company has opted to make the cup simply red with the green logo in order to simply appeal to all religions and cultures. This, of course, has become an issue with some religious groups and individuals, such as Donald Trump, who say Starbucks shouldn’t change their cups, placing the company under heavy scrutiny. This is a small chunk of the overall discourse that surrounds the debate on Christmas in the public. No longer do you hear Merry Christmas in school yards, rather phrases such as: “holiday-tree”, “holiday-wreath “, and “happy holidays.” This is so everyone feels included, but unfortunately it is leaving some feeling attacked. What is the world coming to? Read more HERE. 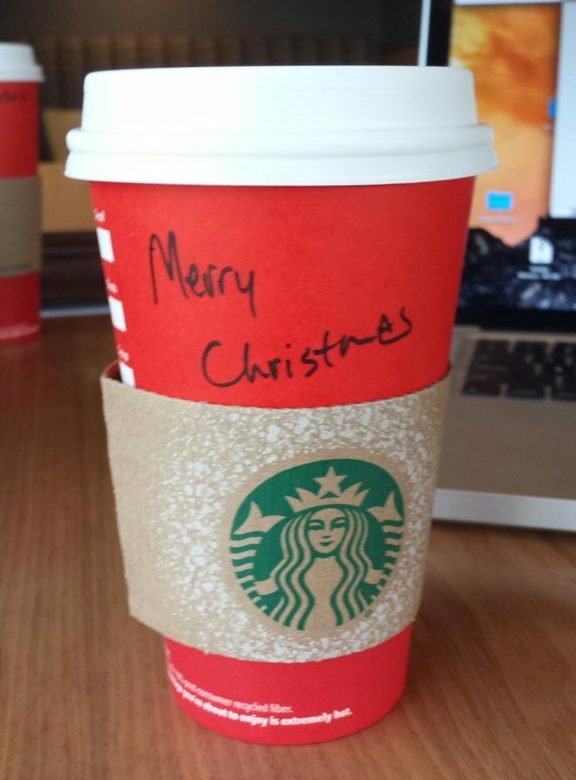 Some people ask for their name to be “Merry Christmas” in protest of the new design. In the NFL, Thursday night’s game is between the Buffalo Bills and the New York Jets and will take place at 8:25pm. This is a classic divisional rivalry with both teams hoping to snag a wildcard spot this postseason (because let’s be honest that division belongs to the Patriots). Peyton Manning is looking to break two major quarterback records this week (Most career passing yards and most career wins by a quarterback) against the Chiefs. He says he has a sore foot going into the game but should play. We could see one of the most monumental games in NFL regular season history this week. Ndomukong Suh, one of the most feared defensive players in the league came out this week to apologize to his mother for being caught dropping the f-bomb in a game. It’s nice to the softer side of some of these tough guys. Finally, the Raptors snap a losing streak with a win last night. Things are looking promising in Toronto basketball that’s for sure. With a quick peek out the studio window we noticed that it was quite dull out there but that the wind seemed as the tree was standing still. We suggested a sweater, but boy were we wrong! Sorry folks! 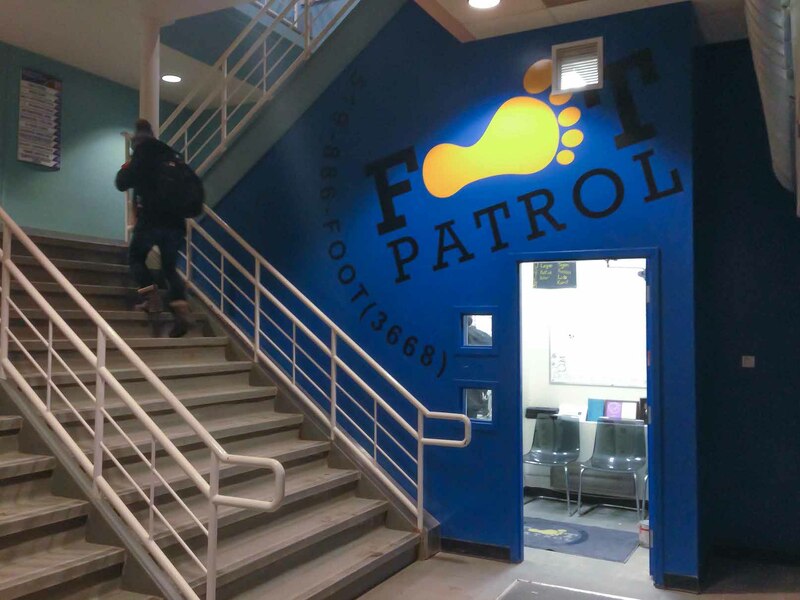 Foot patrol is hiring until November 15th. Foot Patrol is a service every night that is available from 6:30 P.M. until 3:00 A.M. that offers you a safe walk home. No walk is too far. Everyone involved is really great so if that interests you, you can apply HERE. If not, still don’t be afraid to use the service. Just stop by the office in Fred Nichols Campus Centre or give them a call at (519) 866 – 3668. They’re always happy to help and chat along the way! What makes a horror film instantly terrible? Dana – The movie trailers always catching you when you least expect it and leaving you mortified for the rest of the day. When picking your school to go to, did the partying at that school affect your decision? The University life-style is often surrounded by partying and alcohol consumption, like in first year, when you tossed that welcome brochure on your case of beer in your dorm. It is so easy to get caught up in that lifestyle because it is fun , it is cool, and you feel on top of the world. But priorities often become skewed, lost in the box of empties. Where do you draw the line? Where is the balance between going out and taking care of yourself? The biggest problem is that every answer to that question is different. However, the even bigger problem is what the majority would consider to be a “cool” answer. While there is nothing wrong with going out, having drinks, getting real tipsy, and having a good time; there is equally nothing wrong with grabbing a hot chocolate, staying in, and rocking Netflix or Fallout 4. There is nothing wrong with saying no. Lets change the way we think about partying.